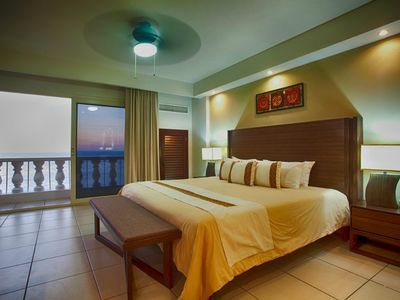 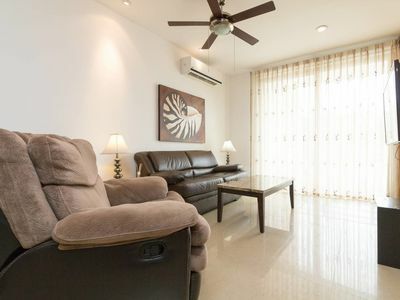 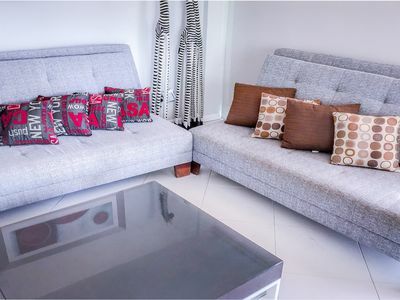 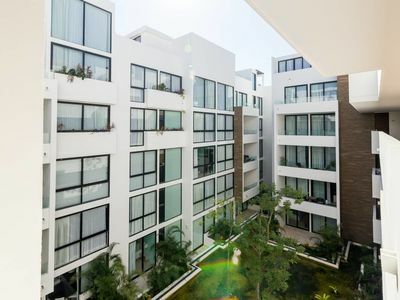 Brand New, Cozy & Equipped Puerto Morelos Condos. 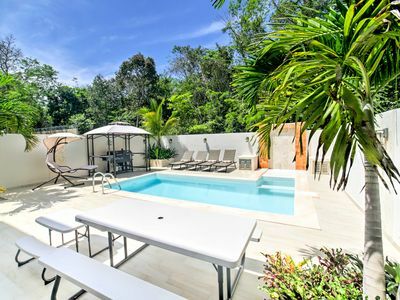 5 min away from the beach. 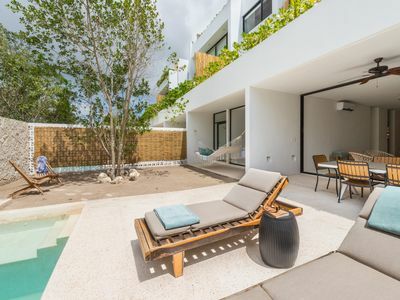 Káam Group was started because of our love of Puerto Morelos and its surroundings. 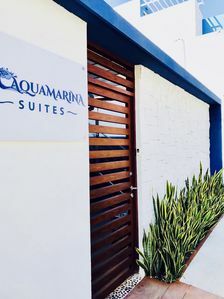 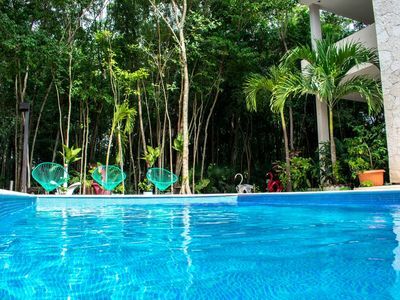 Puerto Morelos vacation a living dream every single time you visit by offering you top quality service without the loss of that small town feeling. 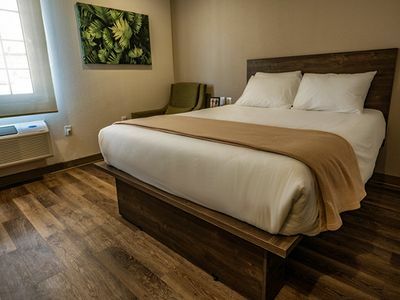 Káam, in the Mayan language, means to accommodate and that’s just what we do. 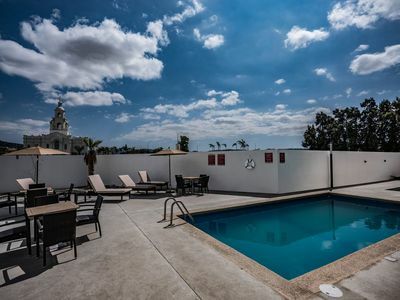 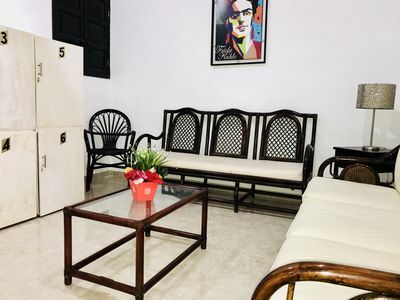 We offer you cozy apartments adorned in Mexican décor and equipped with a comfortable king-sized bed, sofabed, fully equipped kitchen and a lovely shower with amazing water pressure. 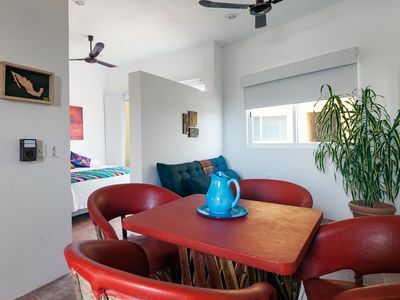 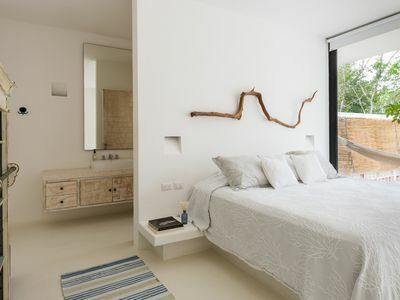 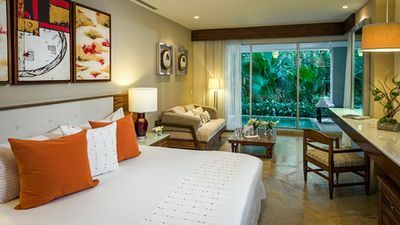 Each room features locally crafted furniture and Mexican granite kitchen countertops fabricated by a true local artist. 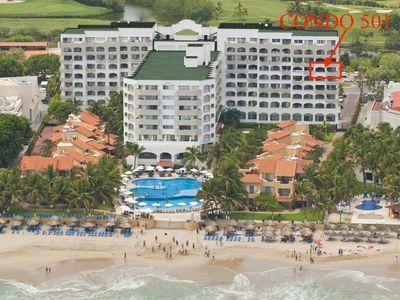 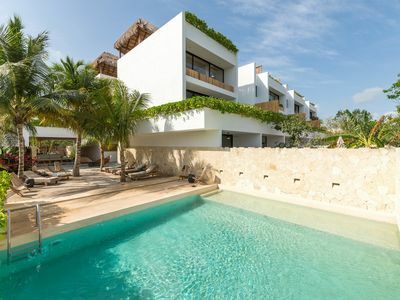 Each building also features an amazing roof top palapa to enjoy your Mexican siesta while overlooking the ocean and tropical flowers on your own private balcony as you enjoy your morning coffee. 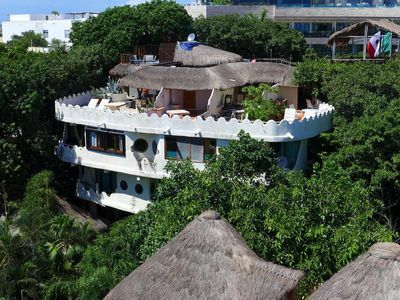 K’áanáb, meaning “house by the sea” in the Mayan language, allows you to immerse yourself in the Mexican tradition. 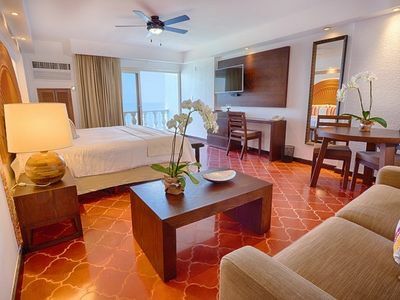 Each room features locally crafted furniture and Mexican granite kitchen counter tops. 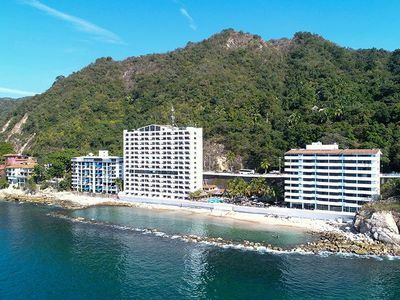 We have a perfect location: within walking distance to the beach, the main square, local markets and an array of delicious restaurants. 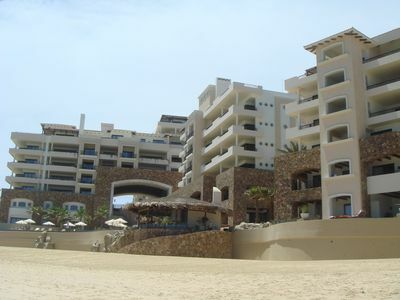 Grand Solmar - Best New Property in Cabo!